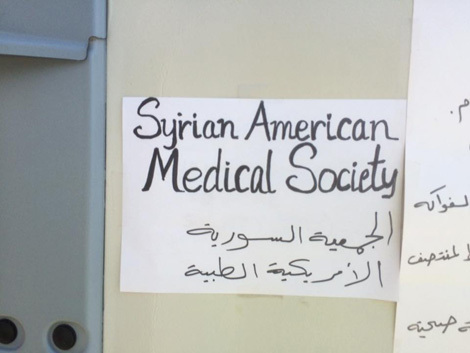 Mark Boothroyd recently spent time volunteering with the Syrian American Medical Society team in Greece. You can read the start of his diary entries here. 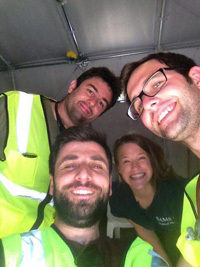 26 May: Day three with SAMS Global Response. 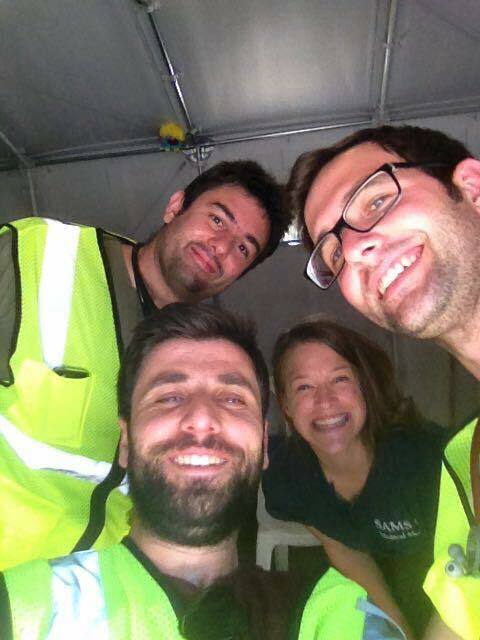 We headed out to camp Hara again, set up the clinic and began seeing patients. There was more of a challenge today as we didn't have a Farsi translator today and about a third of the patients only spoke Farsi. 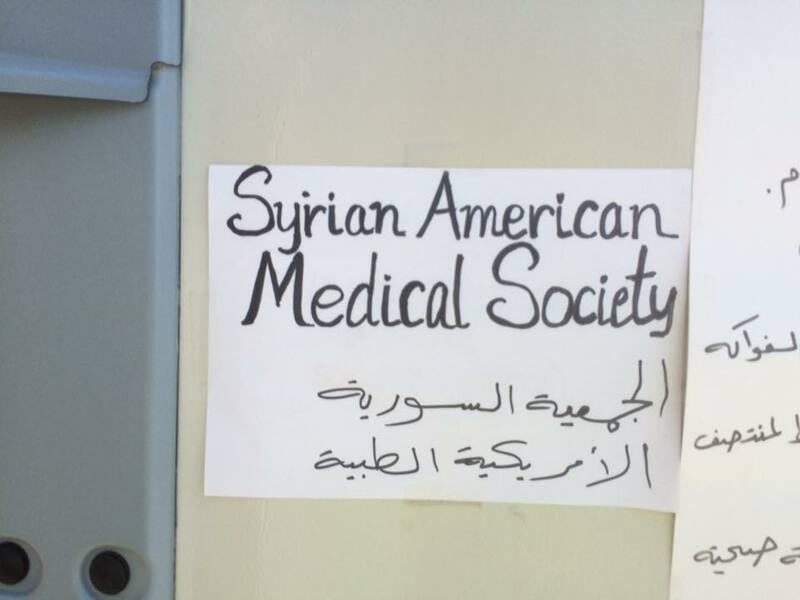 We tried as best we could, with those refugees who knew a little English translating for those who knew none. There was a two year old with a second degree burn on her forearm, a 60 year old needing BP medication for his cardiac condition, lots of blisters and cut feet from walking miles and attempting to cross the border. Lots of sore throats and children with colds and coughs. We saw 64 patients today. Zaher Sahloul, President of SAMS came down to observe the clinic and thank us for our work. He has been visiting the Global Response team for the past week to participate and check on its work. A few of us who work in the NHS agreed to create networks for SAMS in each profession, in order to draw more healthcare workers into its work. 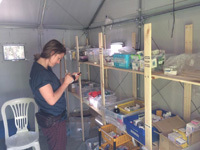 27 May: Day four with SAMS Global Response. Today I was assigned to the team covering one of the government camps that have been set up to take refugees from Idomeni. These camps are being set up and run by the Greek military, and are scattered around Thessaloniki. 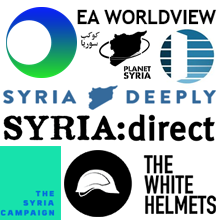 SAMS currently covers just this one camp, but is looking to cover more as they are set up. After restocking at the pharmacy we headed down to Sindos. The camp doesn’t have an official name yet, so everyone calls it Sindos after the nearby town, and because this translates as heaven. Some dark humour has to be allowed in this situation. The camp is on a big industrial site, an old tannery. 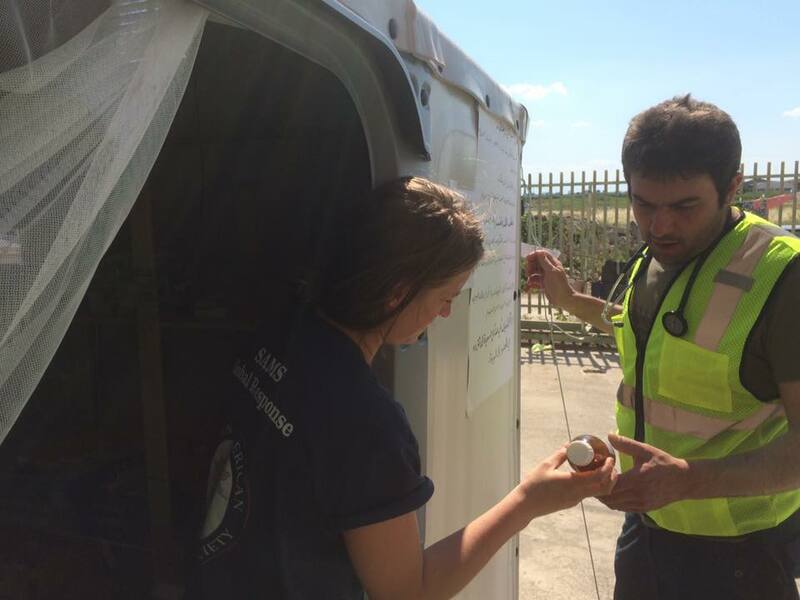 Refugees have tents inside the big industrial hanger, and there are portaloos and running water and meals served by the Greek military. 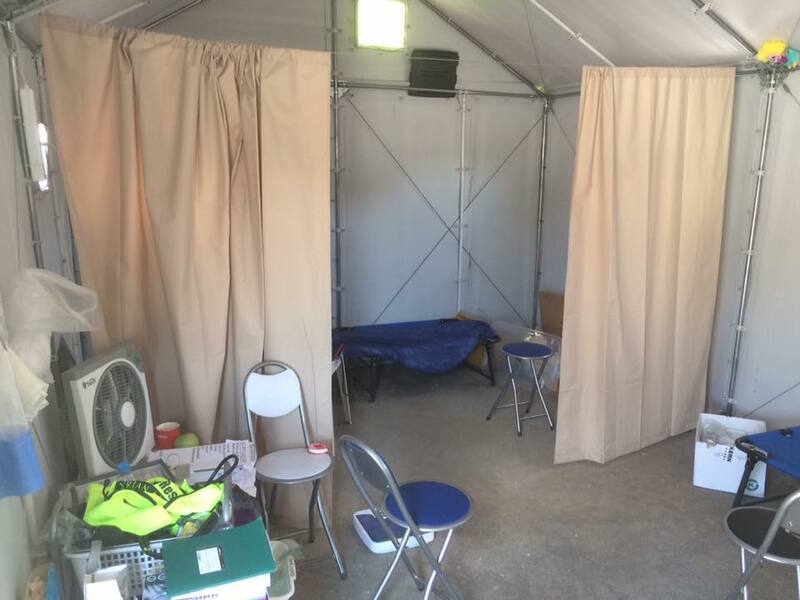 It’s still an appalling state to keep human beings in, but a minor improvement on conditions at Idomeni. 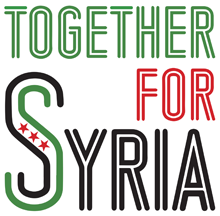 There is lots of room for improvement though and the hope is the refugees can self-organise and take over much of the running of the camp, for the duration of their stay. Whether the Greek authorities will be amenable to that is another matter. SAMS has a permanent building on site which the clinic runs out of. It runs for 6 hours a day, every day and is slowly starting to be integrated into the local health system. 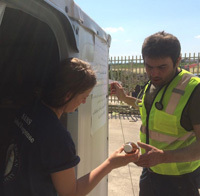 Hospitals accept referrals from the clinicians for serious cases, and ambulances are beginning to transport patients to Thessaloniki for regular dialysis. Clinic was slow at first, but towards the end we were almost overwhelmed by a stream of complex cases. A child with suspected measles had to be sent to hospitals for tests and to isolate him from the unvaccinated children in the camp. Thousands of Syrian kids have missed out on vaccinations, so the threat of contagious disease in the camp environment is very real. Another child had a heart murmur which needed to be checked out, and one of our translators accompanied her and her mother to the hospital, a trip which took the entire afternoon and evening. A young man had a suspected eye infection that wasn’t responding to antibiotics so needed to see an ophthalmologist and was sent there as well. There were a lot of sick children with fevers, coughs and colds, which their parents were pretty stressed about, but which weren’t life threatening. 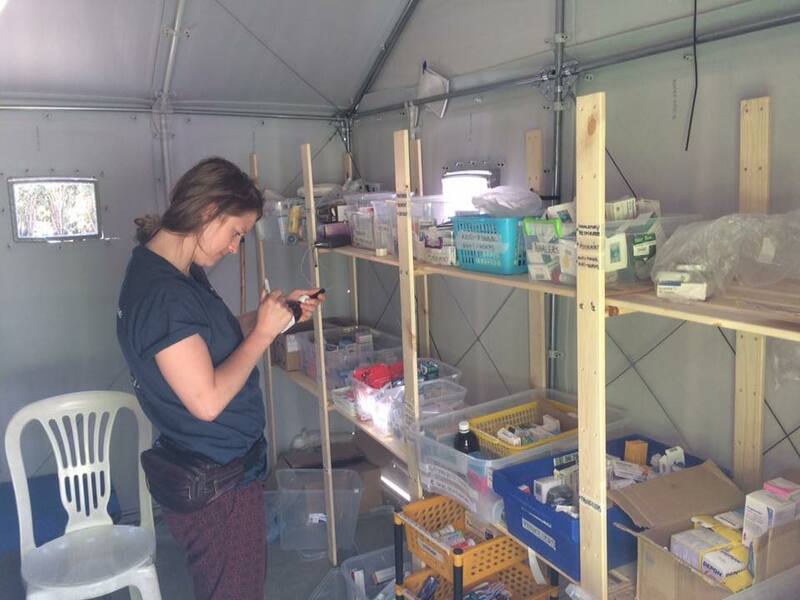 The fact the clinic operates daily means following up patients is relatively simple, so prescribing lots of fluid, children’s paracetamol and cough syrup for symptoms was a valid treatment given the team could check on them the next day. The doctors drew on their own experience as parents to make some amazing diagnoses, and it was a pleasure and a relief when something that the parents thought very serious, was easily treatable. We had a gynaecologist with us with an ultrasound, and a few pregnant women came by to have a check up and listen to their baby’s heartbeat for the first time. Seeing the happy and relieved patients was a special element to the day. Sadly some of the team left today, their efforts will be sorely missed. 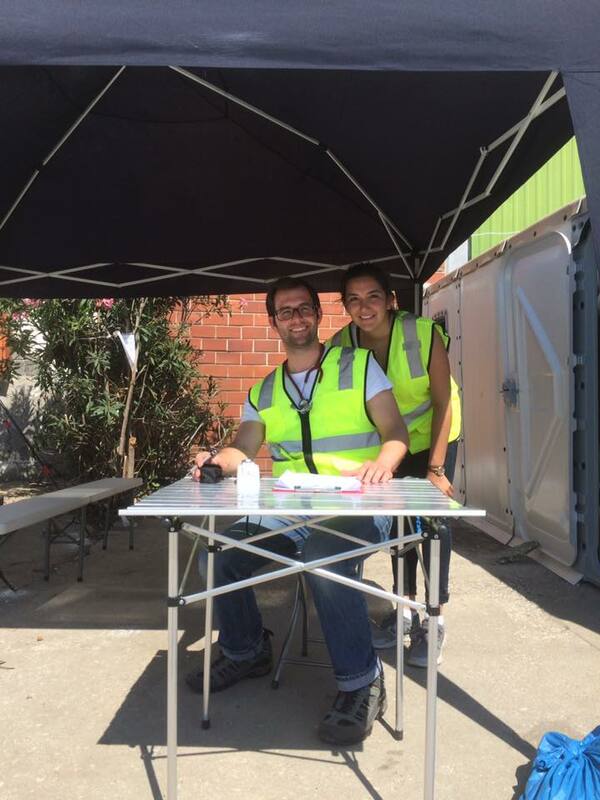 More volunteers will arrive over the weekend so there are fresh teams to handle next weeks clinics.